There is much we can learn about conservation from native peoples, says Gene Anderson. While the advanced nations of the West have failed to control overfishing, deforestation, soil erosion, pollution, and a host of other environmental problems, many traditional peoples manage their natural resources quite successfully. And if some traditional peoples mismanage the environment--the irrational value some place on rhino horn, for instance, has left this species endangered--the fact remains that most have found ways to introduce sound ecological management into their daily lives. Why have they succeeded while we have failed? 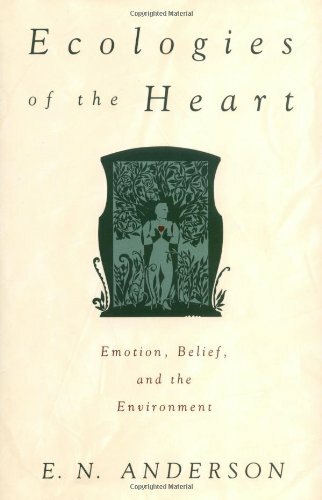 In Ecologies of the Heart, Gene Anderson reveals how religion and other folk beliefs help pre-industrial peoples control and protect their resources. Equally important, he offers much insight into why our own environmental policies have failed and what we can do to better manage our resources. A cultural ecologist, Gene Anderson has spent his life exploring the ways in which different groups of people manage the environment, and he has lived for years in fishing communities in Hong Kong, Malaysia, Singapore, Tahiti, and British Columbia--as well as in a Mayan farmtown in south Mexico--where he has studied fisheries, farming, and forest management. He has concluded that all traditional societies that have managed resources well over time have done so in part through religion--by the use of emotionally powerful cultural symbols that reinforce particular resource management strategies. Moreover, he argues that these religious beliefs, while seeming unscientific, if not irrational, at first glance, are actually based on long observation of nature. To illustrate this insight, he includes many fascinating portraits of native life. He offers, for instance, an intriguing discussion of the Chinese belief system known as Feng-Shui (wind and water) and tells of meeting villagers in remote areas of Hong Kong's New Territories who assert that dragons live in the mountains, and that to disturb them by cutting too sharply into the rock surface would cause floods and landslides (which in fact it does). He describes the Tlingit Indians of the Pacific Northwest, who, before they strip bark from the great cedar trees, make elaborate apologies to spirits they believe live inside the trees, assuring the spirits that they take only what is necessary. And we read of the Maya of southern Mexico, who speak of the lords of the Forest and the Animals, who punish those who take more from the land or the rivers than they need. These beliefs work in part because they are based on long observation of nature, but also, and equally important, because they are incorporated into a larger cosmology, so that people have a strong emotional investment in them. And conversely, Anderson argues that our environmental programs often fail because we have not found a way to engage our emotions in conservation practices. 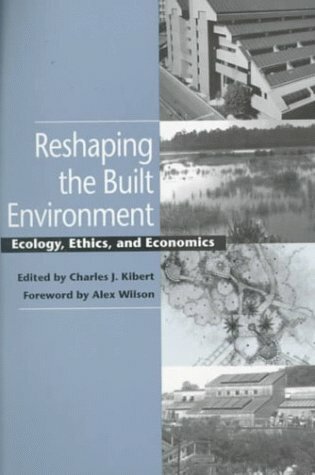 Because of the profound effects of the built environment on the availability of natural resources for future generations, those involved with designing, creating, operating, renovating, and demolishing human structures have a vital role to play in working to put society on a path toward sustainability. Thomas E. Graedel proposes the application of lessons learned from the emerging science of industrial ecology to the creation of "green" building. Badiner, ed., Dharma Gaia: A Harvest of Essays in Buddhism and Ecology, Berkeley, Parallax Press, 1990. More a collection of meditations or prose poems than essays, this book contains a wide range of short pieces from prominent writers and practitioners in the fields of Buddhism (Thich Nhat Hanh and Robert Aitken, for example), East Asian philosophy and religion (Padmasiri De Silva and Joanna Macy), and the environmental and ecology movements (Bill Devall and John Seed). There are even selections from the Beat poets who introduced Buddhist ideas into the pop culture of the mid-twentieth century, Gary Snyder and Allen Ginsberg. 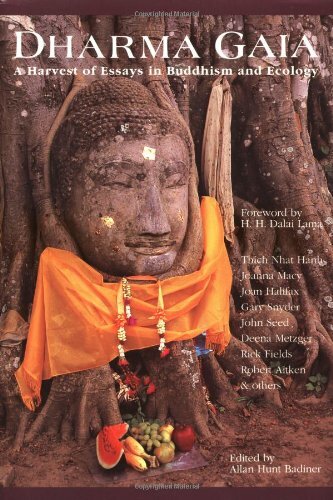 Some titles of a few essays will provide a good indication of the nature of the contents: "Orphism: the Ancient Roots of Green Buddhism;" "The Perceptual Implications of Gaia;" "Rock Body Tree Limb;" "Animal Dharma;" "Women and Ecocentricity;" "Earth Gathas;" "Haiku & the Ecotastrophe." As a whole the collection is a little dated only in that one might wonder how recent developments such as acts of global terrorism and the now confirmed understanding of the dire effects of human activity on climate are viewed in the Buddhist ecological context. Otherwise, all the readings are superlative. Care of the earth is a long-established precept among Buddhists; Dharma Gaia offers enlightenment not just to Buddhists but also to anyone of any faith interested in the spiritual ground for environmental awareness. Suzanne Head, one of the contributors, prays that "other human beings of this planet would also find the confidence, courage and integrity to honor inner Nature and outer Nature.... Realizing the sacredness of the Earth that supports us and the sky that inspires us,...we would find ways to live that could be sustained by the biosphere. Instead of poisoning and plundering the Earth until all life expires, we could fulfill our Nature by being warriors for the Earth." Everyone I've recommended this book to has loved it.It will either be an introduction of new ideas that are pleasant to think about or a conformation of thoughts the reader already has worded in a way that makes them more accessable.The list of writers contains many sparkling souls.Anyone can read this without being offended, and everyone should read it at least once. The book's premise is that buddhism is the perfect religion for an eco-centric based society & culture. It does very well in proving the compatibility and similarities between buddhism & ecology. The sectionon shifting views of perception is highly enlightening. The variety in thisbook is amazing, there are over 30 contributors. Books like this one, inwhich the book is merely a collection of essays on the same topic are greatbecause you can read it in one sitting, or read an essay at a time. As youfinish the last essay of the book, you will never see Smokey the Bear inthe same light again, now there's a teaser!. But seriously folks, this bookis great. Dharma Gaia is a collection of essays offering different perspectives on human/Gaia interaction. These perspectives tie in with Buddhist philosophies to offer readers a sane and well reasoned spiritual approachto ecology. Short introduction by the Dalai Lama, essays and some poetry. 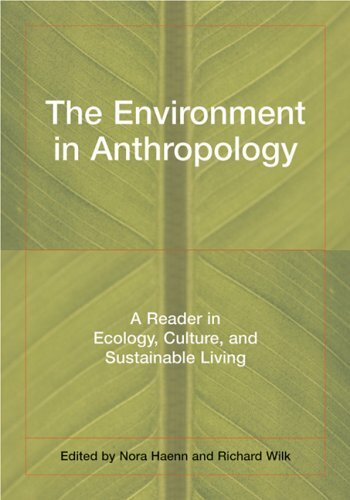 Accessible and engaging, The Environment in Anthropology presents ecology and current environmental studies from an anthropological point of view. 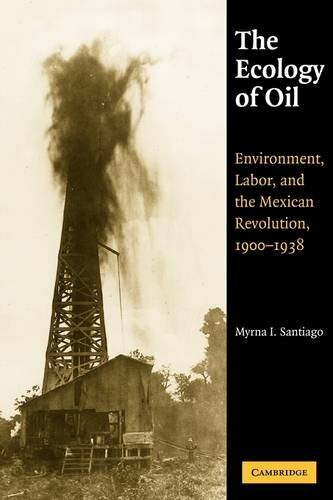 From the classics to the most current scholarship, this book connects the theory and practice of ecological anthropology, giving readers a strong intellectual foundation as well as offering practical tools for solving environmental problems. Haenn and Wilk pose the most urgent questions of environmental protection-What are the environmental effects of urbanization? How do environmentalists represent indigenous peoples? How can we assess the impact of global, "environmentally correct" businesses such as the Body Shop? They also cover the fundamental topics of population growth, large scale development, biodiversity conservation, sustainable environmental management, indigenous groups, and consumption and globalization. 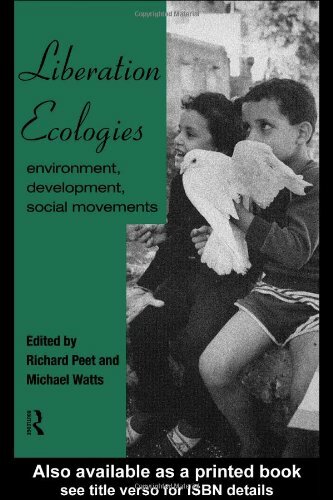 A careful selection of chapters leads readers through the interactions among environmental, political, and economic forces in modern environmental anthropology. Introductory essays put this material in historical context, while a mix of academic writing, popular reporting, polemical essays, and ethical reflections frames the issues in accessible and compelling ways. Balancing landmark essays with cutting-edge scholarship, bridging theory and practice, and offering suggestions for further reading and new directions for research, The Environment in Anthropology is the ideal introduction to a burgeoning field. I really like the way they organize this book. For me, a environmental management study person, this book gives a very clear sketch of Ecology. It also very good to read articles from so many good ecologist from diferent angles. I strongly recommand this book to those who want to know what have been discussed and covered in the subject of Ecology, and how we can link these ideas and knowledge to our life or other studies. 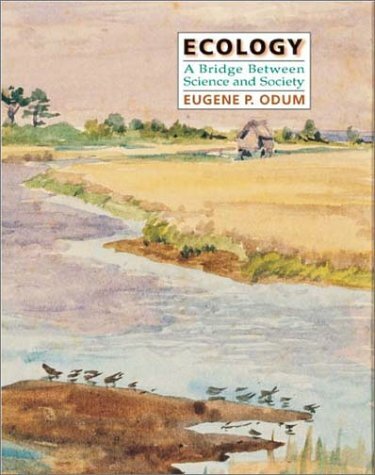 This book presents a survey of the academic subdivisions of the science of ecology. 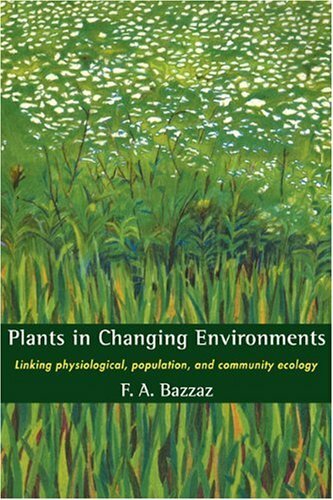 Gives some general information and then a chapter on each of 6 different specializations in the science, viz., landscape, ecosystem, physiological, behavioral, population and community ecology, written by pofessional ecologists. 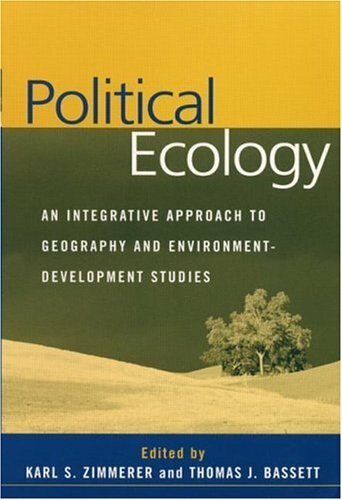 Especially valuable for someone wishing to study ecology in school who wonders what exactly the various subfields deal with and consist of. Also enjoyable for anyone wanting to learn about the aims, problems, approaches and results of ecology as an academic endeavor. Includes sections on how the subfields are linked together. Includes a glossary and many references. In William A. Andrews' A Guide to the Study of Freshwater Ecology, topics ranging from the issue of pollution, to environmental encounters, to niches, to aquatic organisms are discussed thoroughly. AGuide to the Study of Freshwater Ecology provides the reader with an excellent resource for both information, as well as experiment designs targeted at the classroom environment. In Andrews' book, which is designed just like a textbook - gives definitions, explanations, examples, and questions, yet the author throws in his own style, which can be perceived as either good or bad, depending on the reader's interests. In the beginning of the first chapter - needless emotional outbursts are intertwined with the information presented, taking away from the focus on the important aspects of the chapter. Andrews added captions to aide in the release of the tension presented in the information, yet at the same time it makes the reader realize the intensity of the situation at the same time. "Does this look like freshwater to you?" was a question proposed to the reader under a picture of a littered pond. The author ineffectively attempts to persuade the reader by linking humans and the present generation to the problem. Although these accusations are apparently true, Andrews uses strict authority against the reader, which may slightly offend the reader. Intellectual, well thought out examples are presented in order to link information with evidential reality. At the close of each chapter, recommendations for further exploration of the topics are given, which helps the reader with guidance towards investigations. The diagrams presented in the book are helpful, yet are not labeled to the extent at which they could have been - which makes following the textual evidence in a diagram more difficult. Overall, the book is simple and easy to understand, but at the same time manages to be informative. The author also personalizes the information being handed out, and places everything into an example, similar to those found in a classroom atmosphere. The author, though, gets to the point where his personalizations cross the line, and he begins to make bold assumptions. He gets off on tangents and gets too in-depth when it comes to role-playing examples that he sets up. There are no summarizing concepts at the closing of the book, which leaves the reader hanging - which is not acceptable in a book about science. Although the author gives ludicrous examples and personalizations, he manages to get away with writing on tangents, and passes by a book that would be very helpful as a guide for a teacher to work into their lesson plans. This book has helped me analyze social and ecological issues in a whole new way. I am forever changed because of the complexities brought out by the Liberation Ecologies authors. For anyone in the social sciences but with an interest in ecology or the environment, this is a must read. 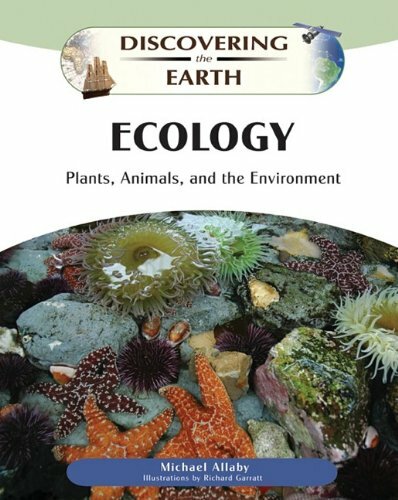 Assembled here for the first time in one volume are forty classic papers that have laid the foundations of modern ecology.Whether by posing new problems, demonstrating important effects, or stimulating new research, these papers have made substantial contributions to an understanding of ecological processes, and they continue to influence the field today. The papers span nearly nine decades of ecological research, from 1887 on, and are organized in six sections: foundational papers, theoretical advances, synthetic statements, methodological developments, field studies, and ecological experiments.Selections range from Connell's elegant account of experiments with barnacles to Watt's encyclopedic natural history, from a visionary exposition by Grinnell of the concept of niche to a seminal essay by Hutchinson on diversity. Six original essays by contemporary ecologists and a historian of ecology place the selections in context and discuss their continued relevance to current research.This combination of classic papers and fresh commentaries makes Foundations of Ecology both a convenient reference to papers often cited today and an essential guide to the intellectual and conceptual roots of the field. A book with a wealth of information If a book like this had been availablewhen I was a student it would have saved huddreds of hours of library research, and I wouldn't have found half the information available in one book. 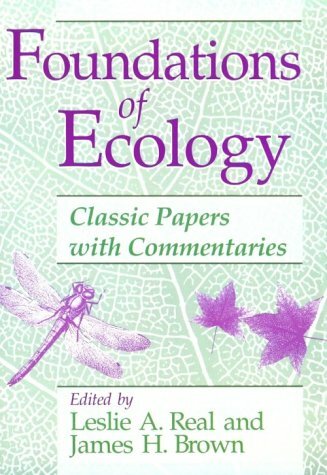 Excellent compendium of seminal articles in the field of ecology.It has very nicely complemented the textbook for the course I am now taking, Introduction to Ecology, which mentions many of the articles reprinted in this fine collection. This is a great collection of papers. Some of the papers included in this volume are not easily available online in the PDF format, nor are they available in too many libraries for loan, making this, in my opinion, a must-have for the serious ecology/evolution academic. You get a pretty good idea of the evolution [sic] of ecological thought thanks to the way the papers have been organized, where you can literally see concepts grow, develop, gain momentum, and then either get worshiped or completely rubbished. And the book really is well-organized. It is divided into several sections, peppered with insightful commentary that enhances the whole experience. What really makes this book such a pleasure to read, personally, is the emphasis in the first section of the book on old, descriptive ecological papers, which is a type of publication that (for better or for worse) seems to be completely missing from modern ecological discourse. I recommend this book to academic and armchair ecologists alike. A nice compilation of papers that historically leads you through Ecology as a scientific discipline. The commentaries are useful and educational. It is timeless and a fundamental instrument for any ecologist, particularly at the early post-graduate level. The only drawback is that it could be more comprehensive (the editors state that they had to define criteria to cut out some papers from their initial selection), but the information in it can be complemented with good Ecology textbooks. The scientific, political, and economic policy debates about the global environmental crisis have tended to ignore its historical, ethical, religious, and aesthetic dimensions. 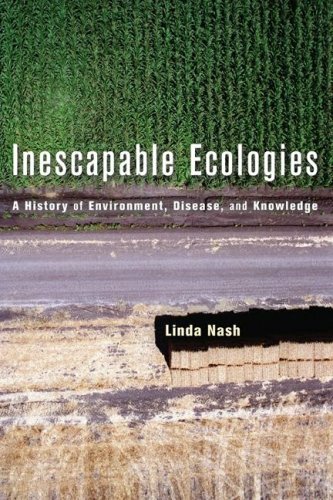 This book redresses that omission by highlighting these humanistic components that are integral to the fabric of our ecological understanding and, consequentially, essential to a broad, multidisciplinary approach to environmental studies and public policy initiatives. In this slim volume, seven world-class scholars discuss the wide range of perspectives that the fields of literature, history, religion, philosophy, environmental ethics, and anthropology bring to the natural environment and our place in it. 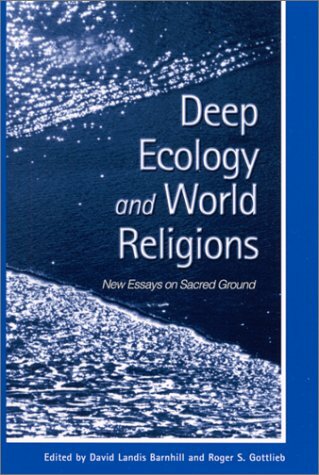 The preface summarizes the development of the religion and ecology movement; the editor’s critical introduction highlights the essays’ major themes. Bringing insights from the humanities to bear on ecological concerns, this volume will appeal to a wide audience in the humanities and environmental studies, policy makers, and the general public. 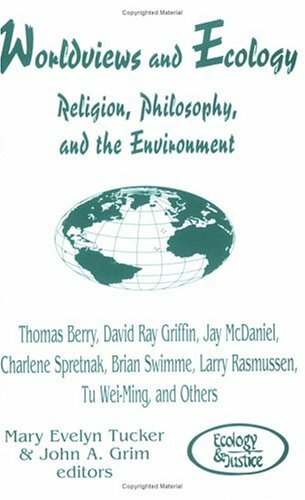 The book represents a continuation of the Center for the Study of World Religions’ highly regarded Religions of the World and Ecology series. 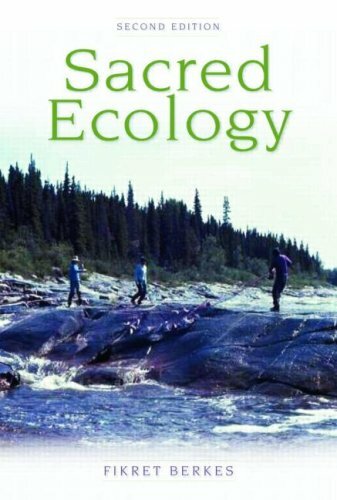 Sacred Ecology examines bodies of knowledge held by indigenous and other rural peoples around the world, and asks how we can learn from this knowledge and ways of knowing. Berkes explores the importance of local and indigenous knowledge as a complement to scientific ecology, and its cultural and political significance for indigenous groups themselves. This second edition is expanded and updated throughout, and places greater emphasis on "knowledge as process". It has two new chapters, Chapter 8 on climate change, demonstrating how indigenous communities "read" environmental signals, and Chapter 9 on how indigenous knowledge deals with complexity. Many of the points covered in the book are complex (including complexity theory itself), but Berkes avoids the high levels of abstraction and convoluted prose common to academic writing. Here is a quote to give a sense of the book. "Adaptive Management is a good match for traditional ecological knowledge, and a potential bridge between Western and indigenous ways of knowing in the areas of ecology and resource management. It is part of the holistic tradition in Western science, not the mainstream tradition, but significant nonetheless. This holistic tradition includes systems theory, gestalt psychology, quantum physics, and ecology (Capra, 1996). Systems theory is often equated with complex adaptive systems. Fuzzy logic (not mentioned by Capra) may also be added to the list. Many of these holistic sciences are potentially suitable to provide frameworks for integrating Western and indigenous knowledge." (p 269-70). Sacred Ecology offers a possible way out of the resource pickle we find ourselves in today, by constructing a bridge between our own failed reductuinist paradigm and one that has proven itself over time. Quite the best ecology text. With the current death of the frog population the diagram about the food web on the Long Island estuary becomes very important. Global warming shows that less than moderate attention was paid to these great teachers! An excellent resource for the already converted. 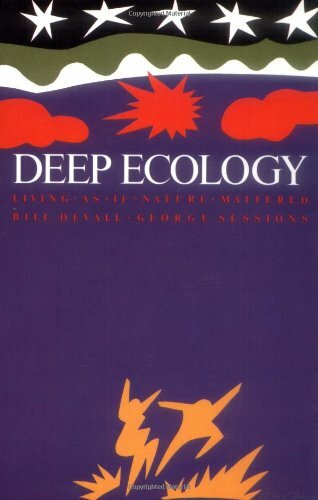 As a long time environmental activist and graduate student in philosophy I found the book wonderfully comprehensive in its analysis and explanation of deep ecology.The book delves nicely into the sources of deep ecology and its response to other perspectives on environmental issues.I found it a quick read (I read it at the gym, but then, I read Heidegger for fun) and well put together. It will not, however, make someone who is coming from a perspective far from deep ecology change their mind.For that I would recommend Muir or Jeffers or better yet, spend some time in the real wilderness yourself.What it does is provide extensive background material and elucidation of the philosophy to someone who already believes in the importance of wilderness preservation. A ponderous classic of the environmental movement. This new practical guide provides a "hands-on" approach to learning the essential concepts and techniques of landscape ecology. The fundamental knowledge gained will enable students to usefully address landscape-level ecological and management issues. 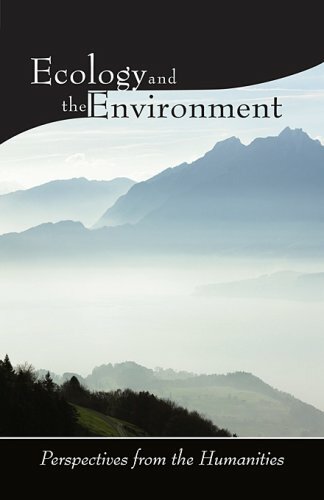 It is an ideal companion to the text, Landscape Ecology in Theory and Practice by Monica G. Turner, Robert H. Gardner, and Robert V. O'Neill, also published by Springer-Verlag. The book is organized into nine sections comprising 20 chapters, each of which consists of a lab focusing on an important point in the text. A variety of approaches are presented: group discussion, thought problems, written exercises, and modeling. Each exercise is categorized as to whether it is for individual, small group, or whole class study. Appendices of additional exercises using specialized technical tools of landscape ecology (for example, GIS) are supplied for instructors with appropriate equipment. The book includes a CD-ROM containing spatial data sets and modeling software for use with a number of the exercises.